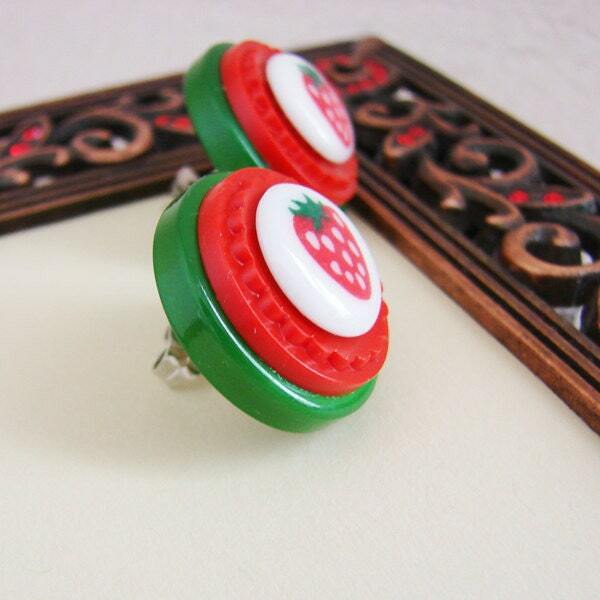 A trio of lovely vintage buttons were used for each of these earrings. 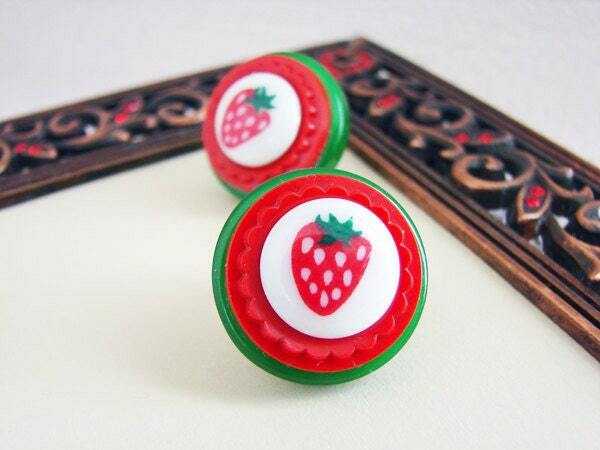 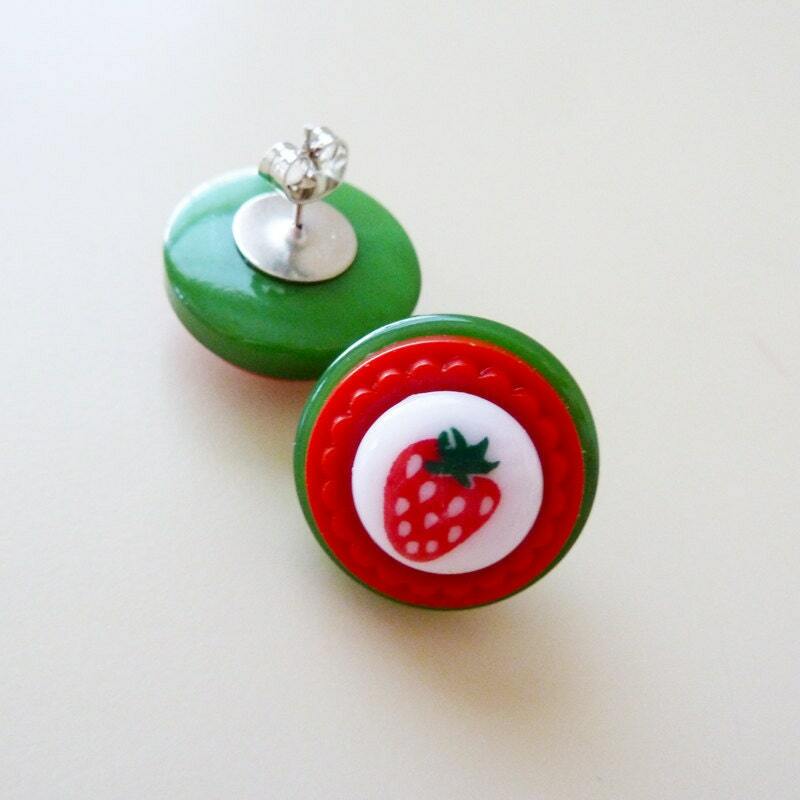 The focal point is a luscious strawberry button, the middle is a textured 1950's flower button and the bottom is a great 1960's kelly green button. 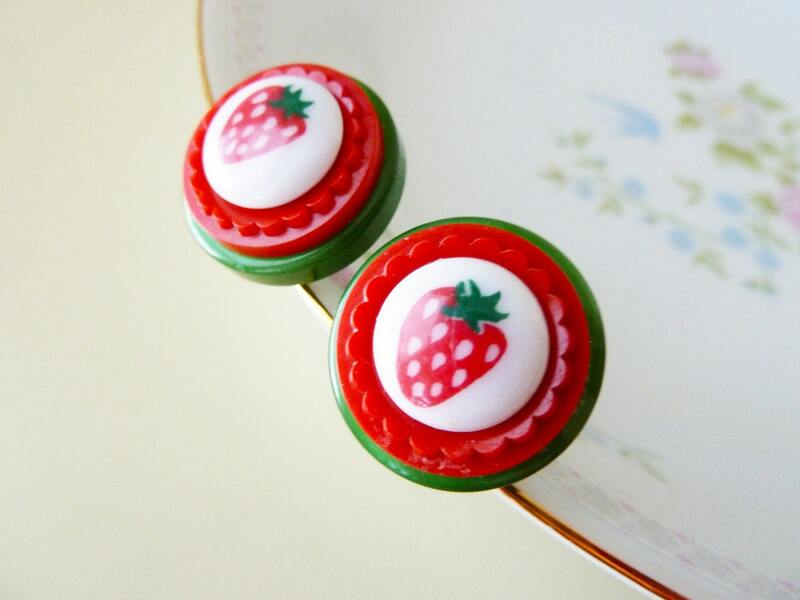 These vintage button earrings measure approximately 0.75" (19mm) in diameter & have been securely affixed to hypo allergenic, nickelfree plated silver posts & butterfly clutches. 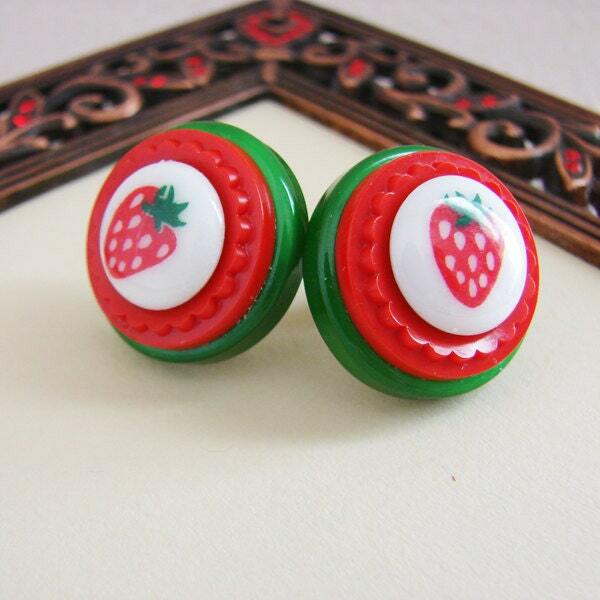 Note: I cannot reproduce these earrings.